Since the ’60s, the Algarve has been the darling of the rich English set. It’s only an hour’s flight from Porto (or a two-hour drive from Lisbon) but the windswept coastline dotted with golf resorts looks like another country. 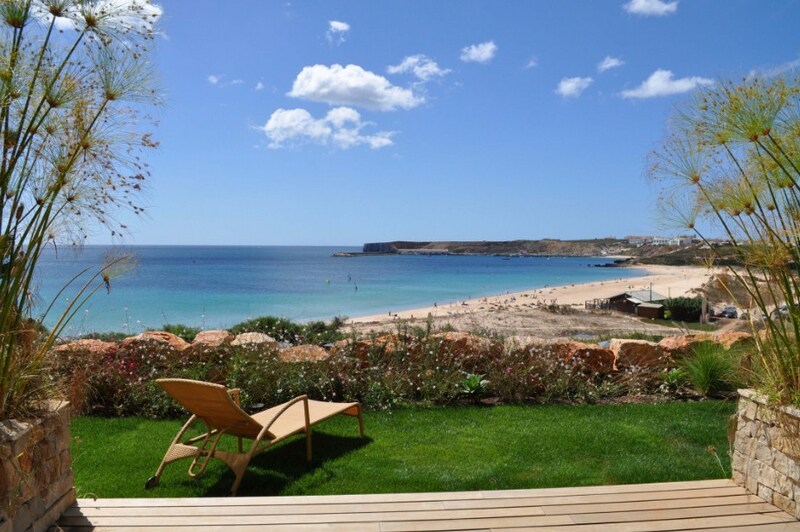 We are staying at the most exclusive Martinhal Resort situated right next to the quaint fishing village of Sagres. The resort has been built to merge with the original vegetation and is legally protected by the Costa Vicentina National Park. Seagulls glide along with the balloons that wind surfers use and sparrows chirp happily on the villa lawns. A five-minute drive will bring you to the archaeologically-maintained Fortress of Sagres. Passing through the large tunnel entrance of this colossal fort, one sees a huge 43-metre diameter stone compass rose (Rosa dos Ventos), which depicts the navigation points and routes from the time of Henry the Navigator. Also within the fort, is a walkway along the cliffs. It’s a steep drop into the Atlantic below but protection comes in the form of a stone wall. It’s another five-minute drive to Cape St Vincent. This cape is the south-westernmost point in Portugal, the seas are teeming with marine life and the steep, spectacular cliffs are home to thousands of birds. The Romans called it Promontorium Sacrum, or Holy Promontory, and they believed the sun sank into the ocean here, marking the edge of their world. Ancient mariners called it O Fim do Mundo – The End of the World. The area was plundered by pirates from France and Holland and, in 1587, by Sir Francis Drake. The present lighthouse built over the ruins of a 16th-century Franciscan convent in 1846 still functions and is among the most powerful in Europe. 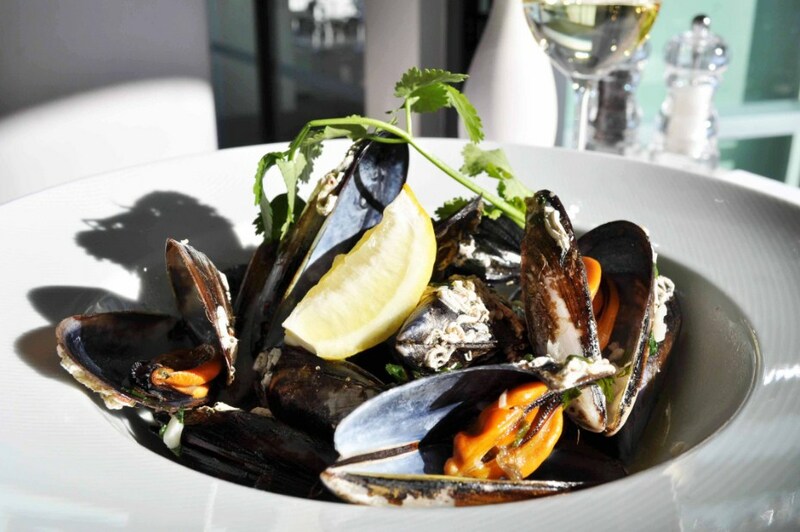 Cuisines at Martinhal’s restaurants are largely fish and seafood based. There are so many different prawns to choose, from the largest (carabineiros), the smaller local prawns (gambas), and the camarão vermelho, possibly the most expensive and characterised by their red colour. Often referred to in English as the spiny lobster, the lagosta is the most prized crustacean found off the Algarve coast. The meat is considered by most chefs as superior to that of the common lobster and carries a higher price tag. Virtually all common lobster here is imported live from elsewhere in Europe. There are countless récipes for lagosta but the Portuguese favour simply boiling in salted water. The Algarveans are passionate about their ameijoas (clams) and rightly so. The clean waters of the Ria Formosa lagoon produce some of the finest clams you will find anywhere. Not only are they eaten on their own but also form one of the essential ingredients of the Algarve´s most famous dish, the cataplana, as well as the tasty Alentejo speciality of fried pork with clams – carne de porce a alentejana. The blue of the sea merges happily with the blue of the sky. Accommodation is upside down with living areas on the first floor, so everyone gets spectacular views of the windswept ocean below. From designer rooms to luxury Village Houses and Villas – all fitted-out with huge kitchens, washing machines, dishwashers and dryers, Martinhal is acclaimed as Europe’s finest luxury family resort. No wonder it has won the Gold Award for Best Landscaping Design Concept Worldwide at the prestigious Homes Overseas Awards. Designed for families to have hassle-free holidays with their kids all year round. All restaurants have a children’s menu and a dedicated area where they can play. Children of all ages are catered for differently. While they enjoy the kids club, parents can take advantage of the activities on offer: a game of paddle tennis/tennis, a bike tour, a surf lesson or a good game of golf. Still stressed? Unwind with spa treatments, massages and facials, at the Finisterra spa. Read about Portugal Calling #1: Lisbon here. Read about Portugal Calling#2: Porto here. Stay tuned for more adventures in the Portugal Calling series.